Courtesy of Rich McBeeIf you want to be CEO, there are a few things you should know beforehand. Becoming a CEO means you were probably already good at whatever executive position you held previously within your company. But leading the company as CEO requires a few different skills that you might not yet know. 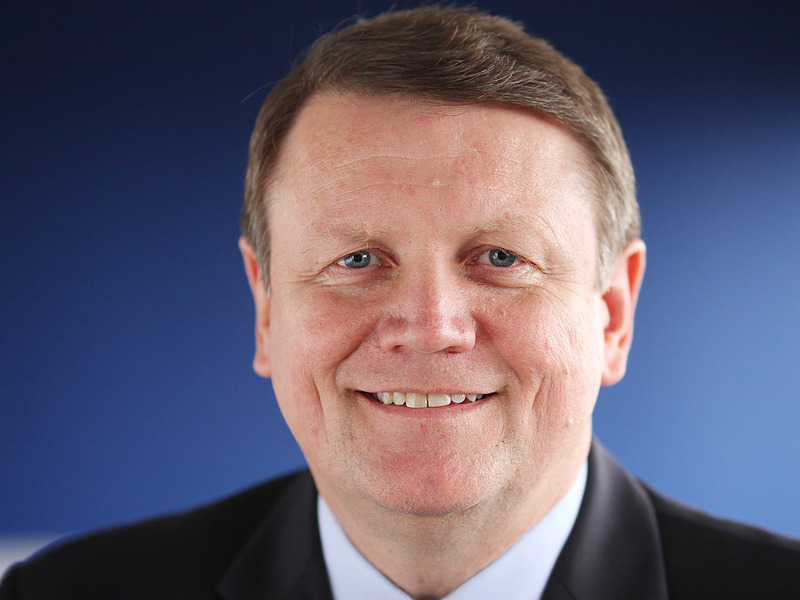 Rich McBee, CEO of Mitel since 2011, shares six things he learned about the role and what it takes to succeed in the top job. First-time CEOs might not know that you’ll constantly be judged, you serve many masters, and how to navigate people issues from the start. As a kid, I had one answer when asked what I wanted to be when I grew up: a CEO of a public company. Funny as that may sound, I had my sights on the corner office for as long as I can remember. I didn’t know what the job would entail back then, but even in my earliest years I’d pore over the Wall Street Journal, absorbing as much business knowledge as possible. I finally achieved my childhood dream in 2011, when I became CEO of Mitel. Was I ready? I sure thought so – I had the operational side wired. But there are a lot of things you can’t be trained for; some things you must experience for yourself. Fast forward seven years, and I’ve learned countless lessons I’m happy to share with first-time CEOs and those who aspire to the role. I won’t share insights from a strategy or operations perspective here. You are probably already good at that, or you wouldn’t be in your role. Instead, I’ll just offer some observations from the chair. Get ready for judgment. In the role of CEO, you’re no longer the giver; you’re now the receiver. Internal pressure and public criticism come with the job-both sometimes appropriate and sometimes unfounded. Either way, count on being second guessed consistently. In my early days at Mitel, a blogger made a comment online criticising me personally, something along the lines of: “McBee couldn’t manage his way out of a wet paper bag.” I won’t lie, this stung for a minute – or maybe a bit longer. But you have to get over it. At the same time, we were getting a lot of accolades from industry and financial analysts for executing our strategy and delivering results. You know if you have the right strategy and whether you’re delivering on it. It’s all about having a thick skin and staying focused. Making the move from senior executive to the CEO is a more significant transition than many realise.. For one, you’re in a league of your own. As an executive, you’re a member of a team and you drive a piece of the company strategy. As a CEO, that strategy -good or bad- is ultimately yours. You own it. You lead the team. Employees look to you for the direction they will execute against. That said, don’t be fooled into thinking the CEO is his or her own boss and operates with free reign. In fact, I have more bosses today than ever. As a member of the executive staff, you have one boss. As a CEO, the board of directors is your boss, so you may have five, seven, or more on the board to report to – and,there are also the shareholders. When it comes to board members, they do work together, but they also exert their independence. Each board member may want to review something different – or they may want to review the same thing, but in a different way. You may have to learn six or seven ways of reviewing the same material for someone with a different perspective or preference. Developing a relationship with each member is critical, and so is speaking with each one before board meetings. You’ll want to be aware of their concerns to head off issues, or at least be prepared when the topic comes up. There’s a fine line between showing compassion and doing what’s right for your team and the company. It can be easy to give people too much time to fix a situation, or to jump in and do their job for them. But you need to trust your gut and recognise when something isn’t working out. Don’t waste time-make the change and do it quickly. When I talk with other CEOs, the most consistent regret is not moving fast enough on the people issues. If you are brought in to accelerate or lead through a time of significant transition, take a hard look at your management team. It’s critical to determine quickly who will be effective, and who may not have the appropriate skill set and experience to take the company forward with you. Nothing is more important than putting the right people in the right place, at the right time-for them and the company. As an executive leader at a public company, you may have participated in investor roadshows. As the CEO, you are the roadshow. They want to hear from you and understand your strategy. Then, they’re going to judge you on whether it makes sense and if they think you can execute it. I’ve always said, a company’s stock price is equal to its Fair Market Value + Greed – Fear. I’ll give you an example of what I mean. Some time ago, I was waiting for my turn to present at an analyst event while a CEO in front of me was giving his pitch. At one point, he said something that caused a chilling effect. He said his company had the right strategy, but cautioned it was going to be very difficult to execute. That one word, “difficult,” caused instant fear. As I looked around the room, people were picking up their mobile phones, while he was still presenting, and giving instructions to sell. Never forget: Everything you say, every tone in your voice and your body language ,is being observed. Make sure you’re projecting what you mean-all the time, every time. In today’s world of instant communication and social media, it’s easy to broadcast every single thought without an understanding of who it is reaching. It can also blur lines between your opinion and what your company stands for. If your stakeholders-customers, employees, investors, etc.-get wind of your views and don’t agree, they may factor these views into decisions they make about you and your company. Your personal communications strategy should be considered a key aspect of the company’s overall reputation management. This doesn’t mean you shouldn’t have a voice or an opinion on issues impacting your industry and your company. You just need to carefully consider what you’re saying and how it could be perceived by the various stakeholders, especially at a time when people are constantly trying very hard to read between the lines. Being a first-time CEO is exciting; you’ve worked hard, so enjoy it. You’re opening the door to new possibilities and providing a fresh perspective to impact the future of your company. Have fun, set high expectations and be deliberate. Most of all, remember it’s all about the people. THEY are the company. Rich McBee brings more than 25 years of experience in telecommunications to his position as President and Chief Executive Officer of Mitel, leading Mitel’s strategy, business performance, and global execution. Appointed to the role in January 2011, Rich is responsible for advancing Mitel’s evolution and leadership in the business communications market, driving revenue growth and profitability, and devising and executing business strategies.